Rough sleepers are being ordered out of a city centre after authorities slapped their belongings with warning signs telling them to move - or face their items being taken. 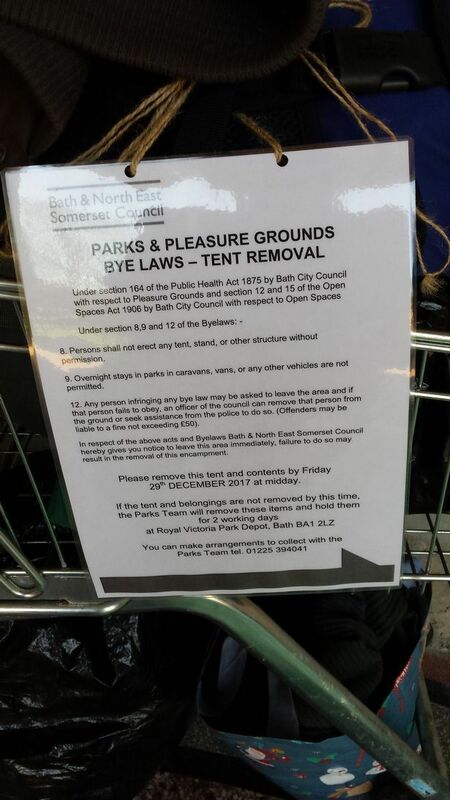 Bath and North East Somerset Council has been branded "disgusting" by residents after they saw the notices ordering homeless people to move from a specific location within two days. If the orders are not obeyed, members of the council’s housing team have the power to remove the rough sleeper from their location - or even call in police. 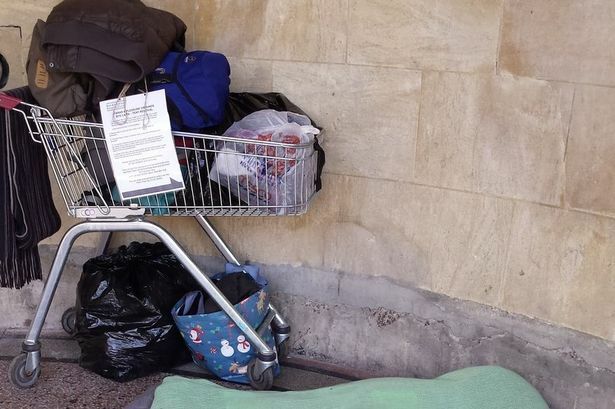 One notice was placed on the belongings of two rough sleepers in Parade Gardens, who said they had left them under a sheltered alcove for an hour on Thursday, December 28. When they returned, the notice was tied to a trolley they use to cart around their few possessions. Many residents have been left outraged by the move after the story was reported by the Bath Chronicle - branding it "social cleansing." Tim Thorne raged: "Such a cruel attitude from a council who has created the homeless issue within bath by failing to build enough housing or hostels. "(The council) has many empty buildings and lock ups in the area that could easily be converted into temp areas .it is about right tho seeing them do this considering banes only cares about tourist/student and rich investors wanting second homes that will also sit empty. "SHAME ON YOU! Just another way social cleansing." Diane Baker fumed: "Instead of issuing these poor people with notices find them someone to live!!! How is this solving anything? Another added: "Absolutely disgusting by BANES council however nothing this council do shocks me sadly it’s all about students and tourists." The council explained the move was part of it policy to prevent rough sleepers from putting up tents and other structures without permission. 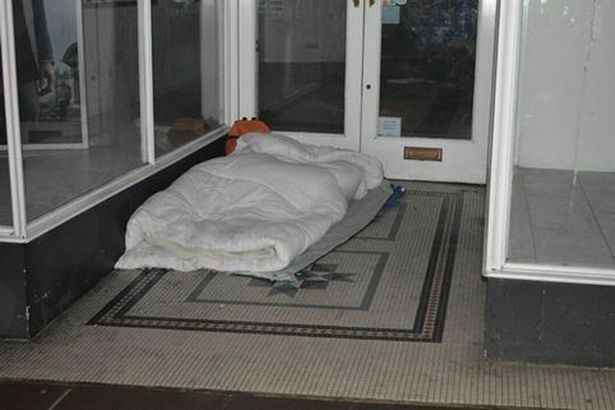 Last month it was revealed there had been a dramatic rise in the number of rough sleepers in the local authority area. 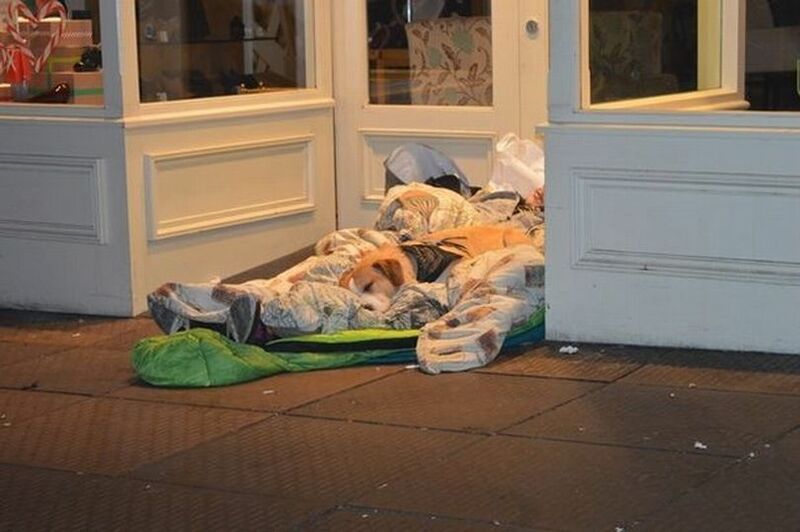 A council spokesman said: “We are trying to help rough sleepers and don’t just remove their belongings immediately.